Our recent release of Ghosts I Have Met, and Some Others by John Kendrick Bangs introduced something new for us, the first of what we hope will be a great many DBP Digital Paperback Classics. What’s a “Digital Paperback”? you may wonder. How can such a thing be? Our Digital Paperback Classics are superior reproductions of classic works, rarities, and unusual finds, priced at a very manageable, recession-conscious $2.99 (U.S.). Of course, some of these books you’ll be able to get as free downloads elsewhere, but take a good look. Every one of those freebies we’ve seen is so rife with errors and sloppy formatting that reading them is an exercise in distraction. Our editions go through a painstaking word-by-word comparison against the original printed text, mimic the original typography as well as the digital format allows, and give you all-new DBP-exclusive extras. Our Bangs book, for example, includes a “Frivolous Reading Group Guide,” an illuminating foreword by Pinocchio’s Forgotten Land author Scott Mignola, and high-quality scans of the illustrations from an actual 1898 first edition we were fortunate enough to get our hands on. We take pride in what we do. 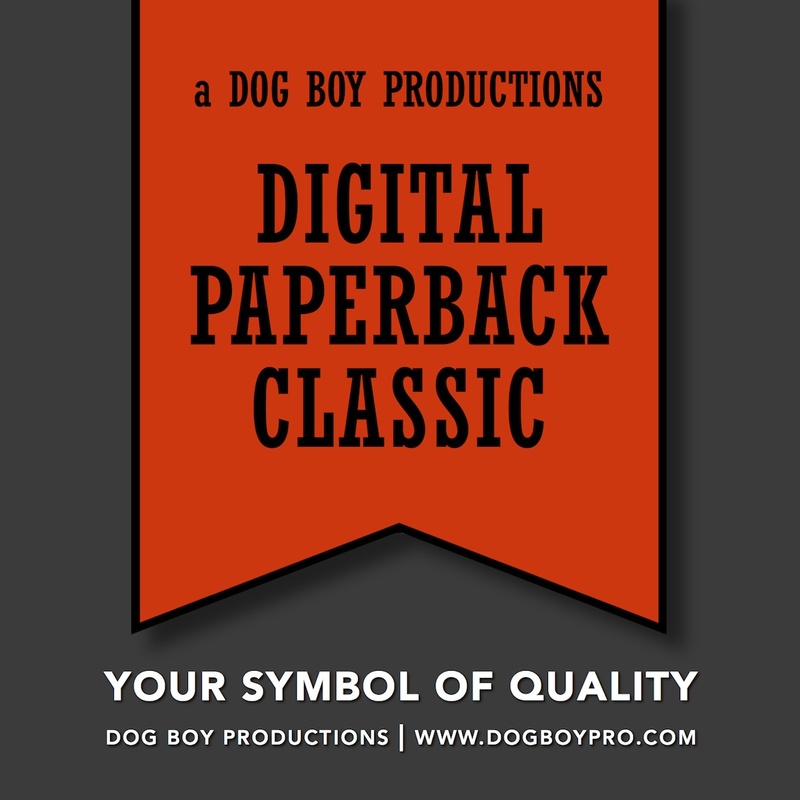 That said, we’re hoping you’ll throw us a bone and check out the first in our Digital Paperback Classics series. Download a sample for your Kindle, Apple device, or Kobo e-reader. Compare it to one of those slapdash freebie editions. You’ll see what we’re talking about. And remember, your $2.99 helps fund our mission of providing more low-cost digital books to literate and deserving folks such as yourself, some of whom might never learn of our more obscure titles otherwise. Questions? Tweet us, Facebook us, leave a comment below, or send a good old-fashioned e-mail to memi@dogboypro.com. We’re always glad to hear from you. « Ghosts I Have Met! Out today!